It is already 5 days since AuroraCoin, the crypto currency that had the the idea of national distribution of premined coins to the population of Iceland, started distributing 31.8 AUR to Icelanders. The so called AirDrop requires people from Iceland to request their AUR coins by identifying with a National ID and the claim page is only available in Icelandic. 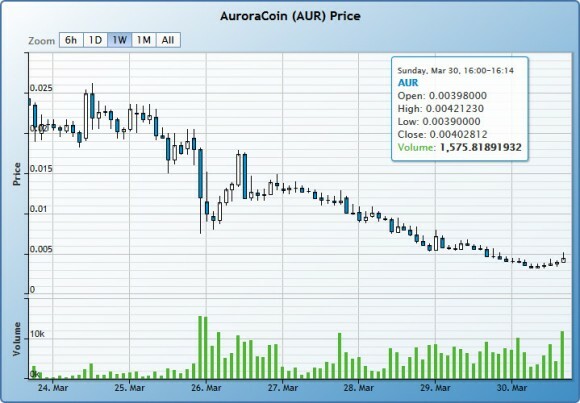 There has been a lot of controversy regarding the idea behind the AuroraCoin, but initially it has helped the crypto currency to have a really high market cap and value, also because of the big number of premined coins that were not yet in circulation. Now, 5 days after the start of the AirDrop or the procedure for Icelanders to claim their AUR coins, the things may not look so bright when you look at the price of the crypro currency at the moment. Nowadays it is hard to always keep track on new promising coins and to jump on the train as early as possible in order to be able to mine more coins at low difficulty. Even if you do there is no guarantee that the new coin you have mined plenty of will be catch users attention and the exchange rate will skyrocket, so you will be able to make good profit. Another alternative is to look for changes in the top crypto currency market capitalization and jump on coins that have been available for a while, but that just recently started to rapidly increase in market capitalization. For example the fairly new AuroraCoin that has been premined has managed to secure the third place in no time in terms of market capitalization, getting ahead of Litecoin. 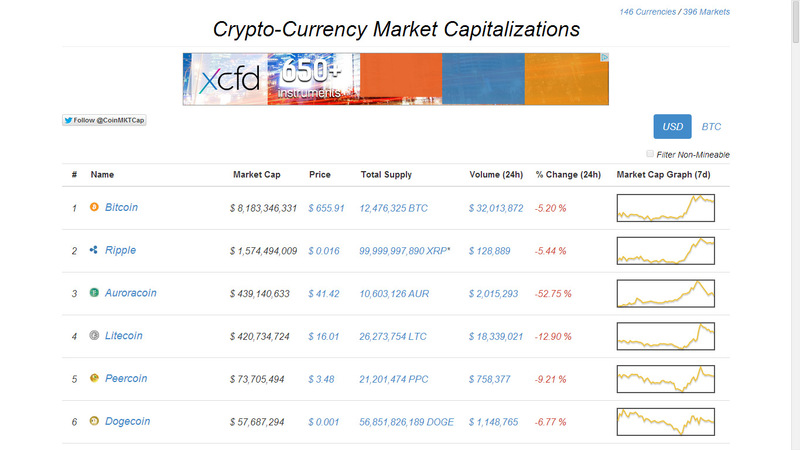 Dogecoin has fallen down to the 6th place and could continue to drop down in the list. Another new coin that has caught a lot of attention lately thanks to the AUR fame by being something similar as an idea is MazaCoin that has already secured the 17th place in terms of market cap. So if you have already missed the Auroracoin trading (Scrypt algorithm) and still haven’t checked the MazaCoin (SHA-256 algorithm) you still might have some time to mine a bit of MZC before the difficulty has skyrocketed, especially if you have a Bitcoin ASIC mining BTC at the moment. If you want to be able to easily track what is going on in terms of crypto currency market capitalization, then you should keep an eye on the coinmarketcap website that has all the date you need in a simple and clean interface. Currently the website is tracking 146 crypto currencies and covers all of the major ones along with many of the new cryptos that are getting released and are not just a new pump and dump money making coins. Auroracoin is a cryptocurrency for Iceland. It is based on litecoin and is 50% premined. The premined coins will be distributed to the entire population of Iceland, commencing on midnight 25th of March 2014. 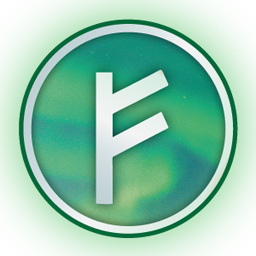 Auroracoin is designed to break the shackles of the fiat currency financial system in Iceland. Iceland has been hit hard by financial meltdown and inflation. Not only did the entire banking system collapse in 2008, but the monetary history of Iceland is one of inflation, devaluation and currency controls. Auroracoin is an opportunity for Icelanders to free themselves from currency controls and government debasement of the currency. 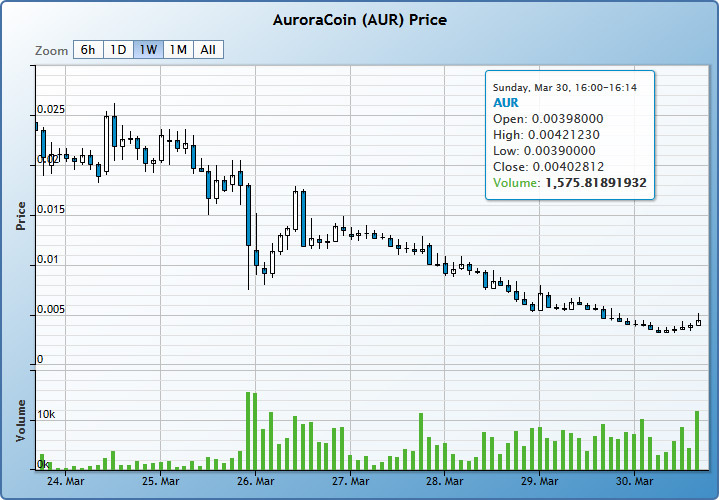 Auroracoin is based on the Litecoin protocol. However, it is started by the “Airdrop” of premined auroracoins to the Icelandic nation, designed to reach almost every Icelander. This one-time event will create the conditions for Icelanders to start using the currency, by providing them with a start and making them aware of the currency and its possibilities. After the Airdrop, the only way to acquire auroracoins will be through mining and transacting.